Creamy, homemade macadamia nut milk with just 2-ingredients! 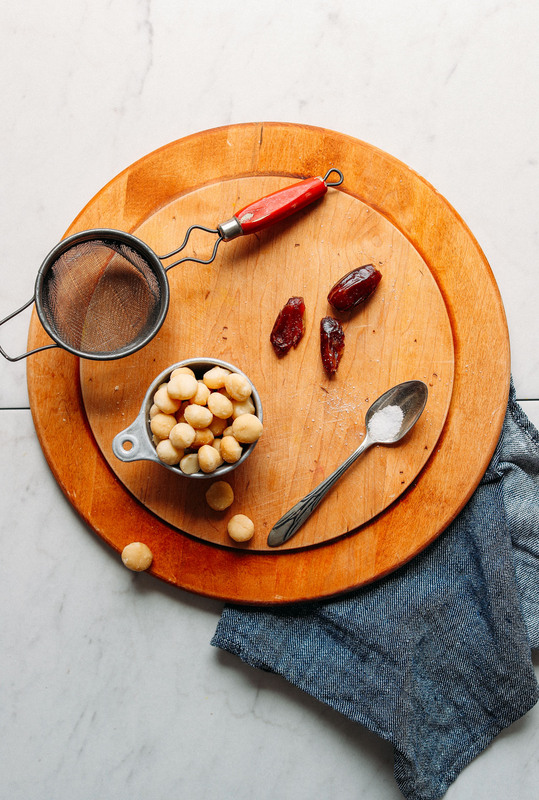 Macadamia nuts are soaked briefly and then blended with filtered water, salt, and any additional flavorings you desire (such as cocoa powder, fruit, or dates to sweeten). The result is creamy, fresh macadamia milk that’s perfect for Matcha Lattes, Golden Milk, and even baked goods like muffins! A quick and easy 2-ingredient way to make homemade macadamia milk! Naturally creamy and sweet, and perfect for smoothies, granola, and more! Soak macadamia nuts in cool or room temperature water for 1-2 hours. Then rinse and drain. Add nuts, water, salt, and any additional add-ins (optional) to a high-speed blender. Top with lid and cover with a towel to ensure it doesn't splash. Blend for about 2 minutes or until the mixture seems well combined. Scoop out a small sample with a spoon to test flavor/sweetness. Add more dates, salt, or vanilla as needed. 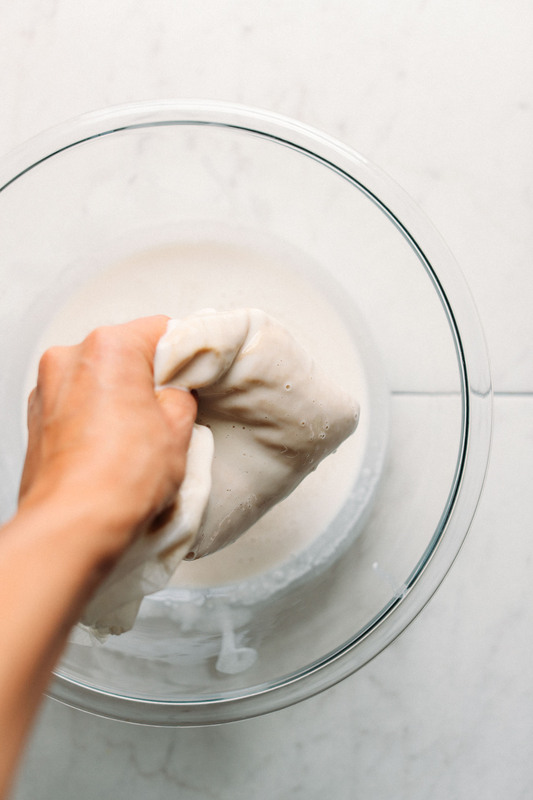 Pour the mixture over a large mixing bowl or pitcher covered with a nut milk bag, a very thin towel, or a clean T-shirt. In my experience, it benefits from a single strain either through a very thin towel or nut milk bag. Save pulp for baked goods or to add to oatmeal, smoothies, or energy bites. Transfer to a sealed container and refrigerate. Will keep in the refrigerator up to 5 days (sometimes more). Enjoy cold or hot and shake well before use (it tends to separate in the refrigerator). Can be used in smoothies, with granola, for golden milk or matcha lattes, or baked goods! *Nutrition information is a rough estimate calculated with lesser amount of water (excess macadamia pulp nutrition was subtracted from total) and no additional add-ins. Liked this recipe? Check out our Guide to Dairy-Free Milk for 5 more dairy-free milk recipes! Hi! Love the idea of starting to make my own non-dairy milks to eliminate waste from packaging and the manufacturing process. 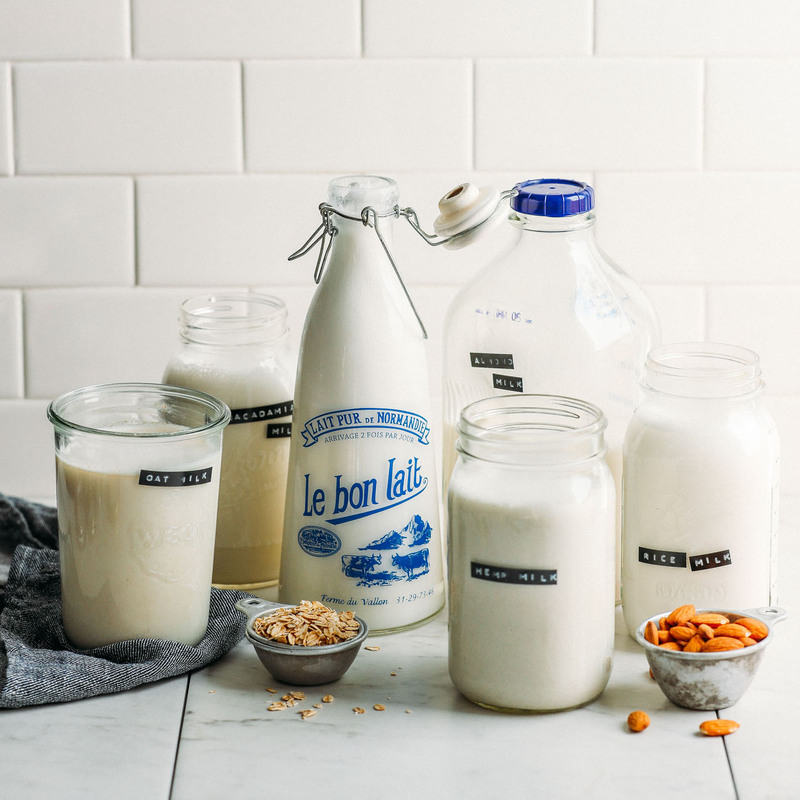 Do you think it would be possible to combine the macadamia nut milk with coconut or oat milk? 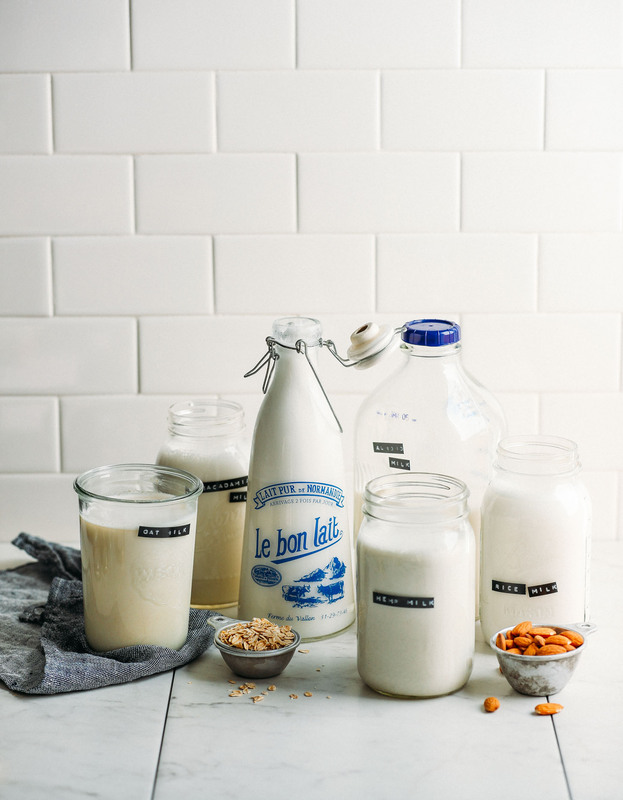 I love macadamia nut milk but the nuts are too expensive to make solely macadamia nut milk, and coconut and oat milk are my other favorite milks. Thanks! We haven’t tried it, but think that would work! If you give it a try, we would love to hear how it goes! Any suggestions what to do with the macadamia pulp that’s left over? Should I just use it like I would almond flour? Seems like a waste to not make use of it. I’ve been making my creamer for coffee out of cashews (which has fine) but consider sometimes making out of Macadamias. I wonder if the taste between the two would be totally different? I tried making oat milk and it reminded me of runny glue. Total upset. What are your thoughts on coffee creamers made from anything besides dairy? I think macadamia milk would be great as a coffee creamer! Let us know if you give it a try, Charlotte! Hi, I was looking for Nutrition Info for homemade Mac Milk, but yours is def off. The fat alone would be 78 kcal. Please recheck. Hi Denise! Thanks for reaching out. I’ll pass this on and we’ll check it out. I made this last night. It’s delicious! It is grainy though and I did strain it. Any suggestions ? I bought a nut bag from amazon. Work great! Can you strain the milk with ordinary cheesecloth? Hi Gigi! That should work!